Tough carrying case for cameras on the go. High-Vis™ yellow interior makes it easy to find your accessories. Fits most small digital cameras inside a padded, water-resistant, strong nylon pouch. Zippers close the main compartments, ensuring your camera and accessories stay put. Eight compartments keep your accessories organized and easy to reach. Wear it on your belt or carry it on your shoulder. Tough carrying case for cameras on the go. High-Vis™ yellow interior makes it easy to find your accessories. 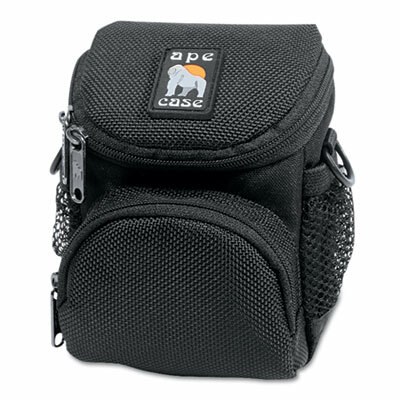 Fits most small digital cameras inside a padded, water-resistant, strong nylon pouch. Zippers close the main compartments, ensuring your camera and accessories stay put. Eight compartments keep your accessories organized and easy to reach. Wear it on your belt or carry it on your shoulder with the included shoulder strap.